Worrying is inevitable when cargo travels a long way. Reliable carrier is important, but there is no guarantee that cargo will be safe when it might be affected by the factors that are not under carrier‘s control. Additional cargo insurance saves from losses that can be caused by cargo damage or full loss of it and reduces stress between partners. Cargo is owner‘s property that has commercial value. Cargo shipping officially starts from taking it from point A and bringing to point B, including all stops and time it spends in warehouses in between. This is why every step of it‘s journey should be assured with safety. Cargo insurance is intended to protect owner against financial loss, which is caused by partial damage or full loss while shipping, including all available conditions and circumstances, that are not included in civil liability insurance. Cargo can be insured from all risks or only from following risks: theft, acts of third party, cooling system breakage, damage caused by nature force, fire or explosion, accident, cargo falling into the water or even nature contamination. 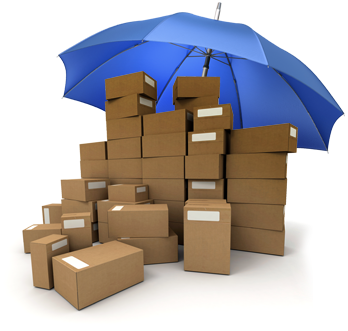 Insurance may optionally apply for one time shipment or during a long period of time, including all cargo carried within this period of time. Low insurance rate (from 0,14 %). Ordering cargo insurance through carrier can assure best conditions for cargo shipment and foresee potential risks that will help to evaluate safety level and choose the most suitable insurance option.